The Osmond's Moon River and Me is not scheduled to perform in Branson this year. In the tradition of talented Andy Williams (1927-2012), this variety show allows audiences to re-experience award-winning music and variety in his honor. 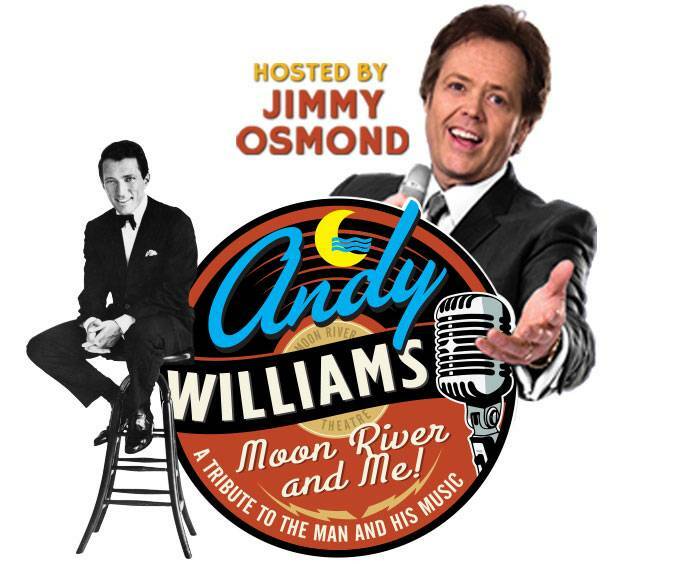 Andy Williams Moon River and Me features nostalgic footage of the beloved Andy Williams, and each show has a live surprise celebrity guest paying tribute to their mentor and friend in this evocative performance. Variety show Moon River and Me stars Charlie Green, who became a singing sensation on Britain's Got Talent in 2008. Prior to that, Green had been entertaining people from an early age on cruise ships, at the Royal Opera House in York, and at St&period; James' Palace. Since performing on Britain's Got Talent, Green has entertained millions on YouTube and television shows worldwide, as well as signing with Star Magic and releasing a self-titled debut album. He has also released albums A Friend Like You and Rainbow. Green's talented voice and hard working attitude have generated fantastic music and many fans around the world. Charlie Green is joined by the magnificent quick change artists Pasha and Aliona. Not only can they perform amazing quick change acts, but they are also a world class adagio dance team that has performed in some of the most prestigious companies all over the world. Their set is filled with multiple costume changes and grace unlike any other. Having appeared on numerous television shows such as The Ellen Degeneres Show, Superstars of Dance, and the American Entertainment Awards, these ladies really are packed with talent. Moon River and Me Hosted by Jimmy Osmond will take you back to the golden years of entertainment, as you reminisce the life and music of the ages.